Modern women want to have it all. They have an innovative spirit and choose to feel good about themselves. We at Roxy know that the key to achieving everything you set for is to be healthy. And we also know that sports are an important part of a healthy routine. 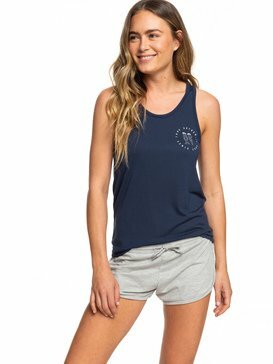 One of the most popular choices of sport for women is running, and our tracksuit bottoms are especially designed to help you feel comfortable and free. If you enjoy jogging, and do no matter if you do it every day or just a few times a week, you need to have some women’s tracksuit bottoms: with them, you will be free to move around and challenge yourself to be better at every time. For us, the most important thing is to offer you a balance between comfort and style, because we understand that you want to feel and look good at all times. Choose your joggers and jogging bottoms from Roxy and be prepared to win! Joggers and sweatpants should naturally adjust to your body. You don’t want them to be too tight or too loose, and you want them to be made out of high quality fabrics that allow your skin to breathe. 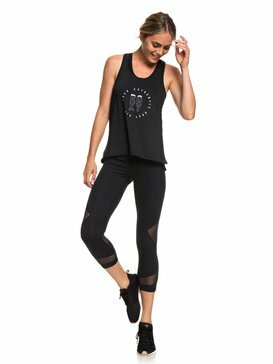 That is why, when designing women’s joggers, we listen to professional joggers in order to find the best materials and the best fitting patterns. We also strive to make them nice and fashionable. 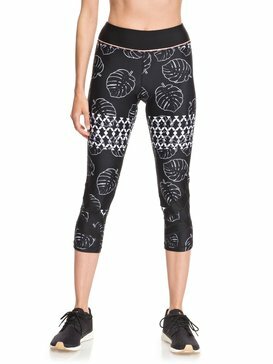 When it comes to women’s gym leggings, we offer you a vast selection so you have one for each different situation: be prepared for weather variations and different types of humidity in the air by having a few different jogging bottoms at hand, and don’t miss any opportunity to practice your favourite sport. When we design our jogging bottoms, the thing we think about the most is you. We strive to understand what women who practice sports are looking for, what they prefer and what makes them feel their best. And you can see this reflected in each of our tracksuit bottoms, including our women’s gym leggings. For us, satisfaction comes when we know that each of our clients can achieve their personal goals and accomplish yet another personal milestone. And because we know that this takes effort and dedication, we offer you clothes and women’s sports shoes designed to help you become the best version of yourself. Buy tracksuit bottoms online and forget about the troubles of the shopping centre. If you don’t have the time to go shopping, or just want to relax at home but still need your tracksuit bottoms, our official online shop is your solution. We offer you a vast selection of items to choose from, as well as a dedicated customer support team who is ready to help out in every step and answer all your questions. And if this was not enough, our payment gateway is extremely easy to use, so you can pay for your items and get them at your doorstep.